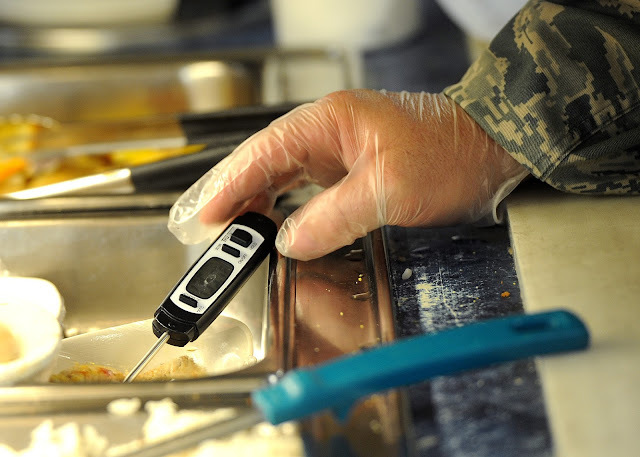 Ensuring that any and all thermometers used on site are properly calibrated is absolutely crucial in the food industry, as failure to do so can cause serious illness or even put lives at risk. Whether you send all of your thermometers off-site for UKAS calibration, or reserve this treatment for your reference thermometers while taking care of the rest in-house, this task cannot be ignored, tedious as it may be. Upon return your newly-calibrated thermometer will be the image of reliability; the next step is making sure it remains that way. The first thing to bear in mind is that, although the thermometer and probe are technically two separate items, they are calibrated as a single unit and should remain as such. Even if all items have been individually calibrated, a different probe may give a different reading, so it is important that you don’t swap probes from one unit to another upon return to your site; this will actually render your certificate of calibration completely void. If you do find a damaged probe in need of replacing, make sure that you check the calibration first to ensure that it is within acceptable tolerances, or send it for re-calibration immediately. Unfortunately, even with all the care in the world, the probe in particular is easily susceptible to damage. This is in large part due to the abundance of small wires within the probe, which can be damaged by something as simple as pulling on the lead a little too vigorously; this kind of damage leaves no visible trace on the outside of the probe, so regularly checking the calibration of your equipment is crucial. Most retailers and 3rd parties will expect calibration to be undertaken annually, but in most cases this is far too infrequent. 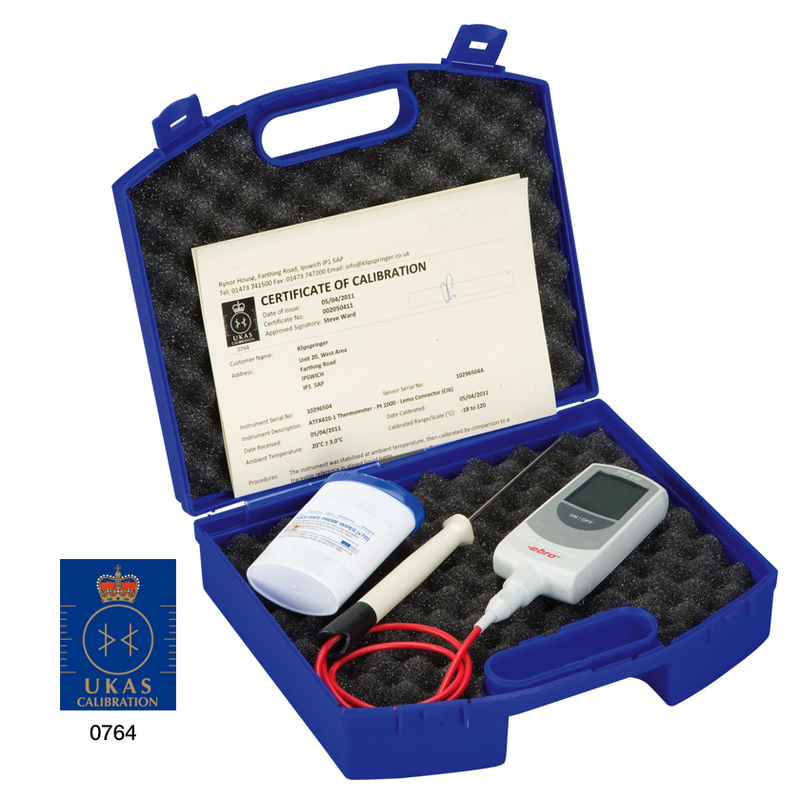 In order to judge how often you really need to calibrate your equipment, you will need to carry out a risk assessment. This is primarily based on batch sizes and the potential damage of recalls; more information on how to assess your calibration frequency can be found here. Ideally, your reference thermometer should be used solely for the task of checking the calibration of other thermometers and probes on site. This is in order to minimise the risk of damage to the unit, ensuring reliable results right up until the next calibration. You should also store your reference thermometer in a clearly labelled hard case when not in use to further reduce this risk. 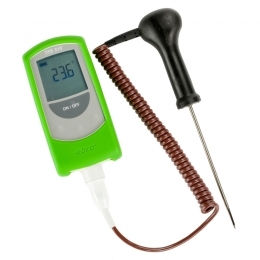 Due to the lower rate of use, reference thermometers generally don’t need to be calibrated as often as the others, so long as they are properly cared for. Most companies will expect this to be performed annually, but many retailers are now asking their suppliers to up this frequency. IMPORTANT: If you do suspect at any time that your reference thermometer may be giving you false or inaccurate readings, cease use of the unit immediately and send it off for testing and re-calibration.